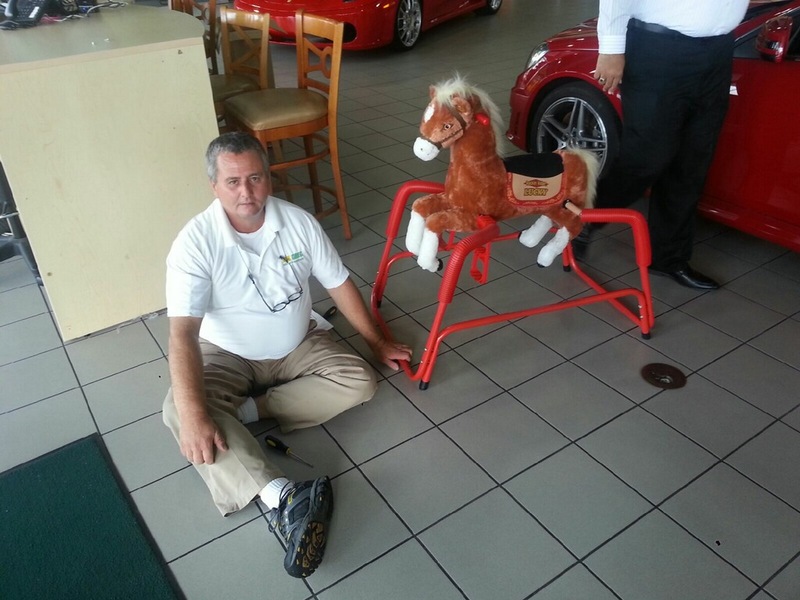 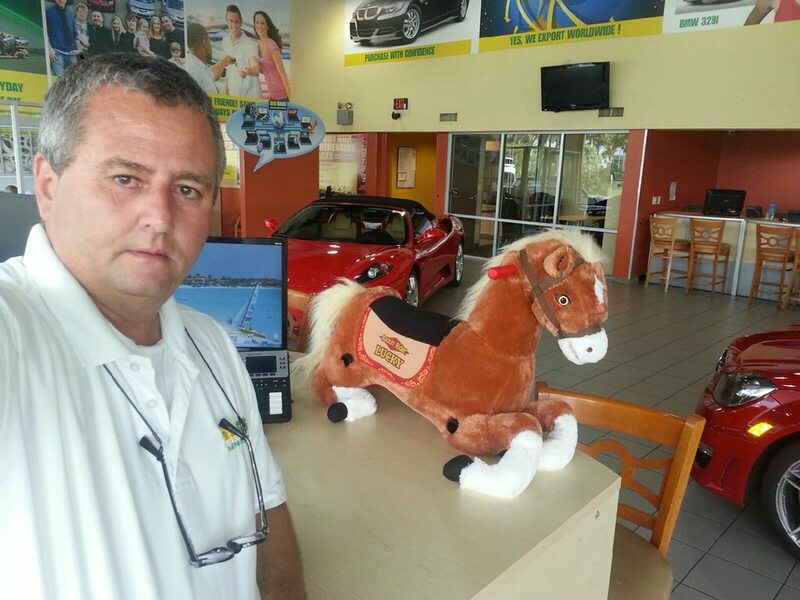 One of our salesmen purchased a pony rocker for his little girl. 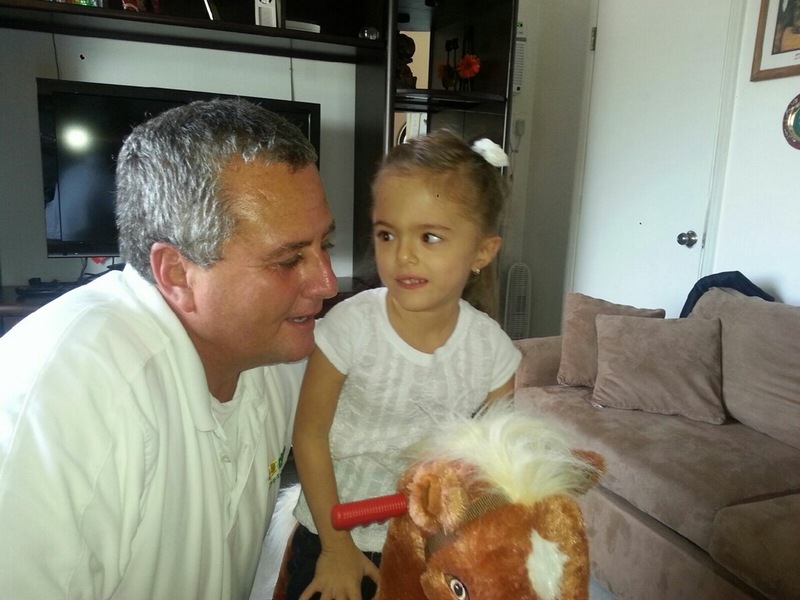 Eloy, an outstanding dad, always goes above and beyond for Matilda. 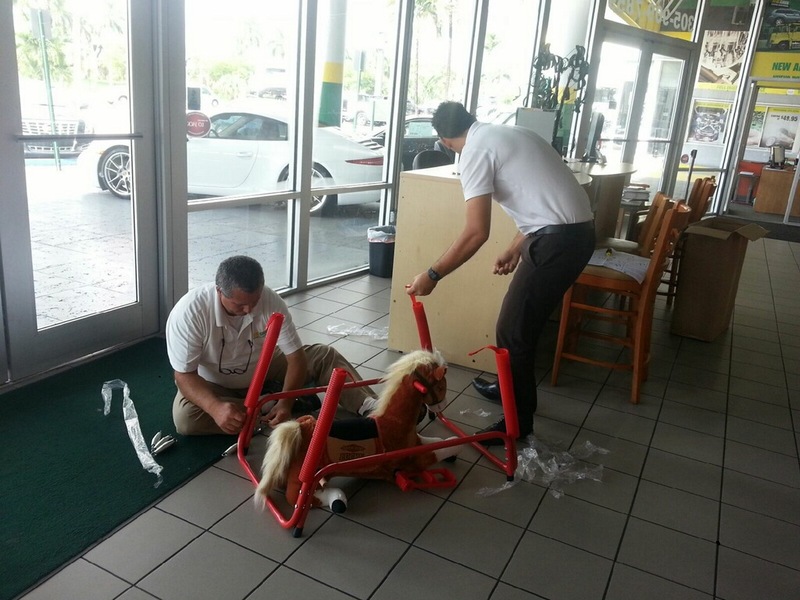 I can recall seeing the determination in Eloy’s face when he was searching the web to find the perfect pony rocker for her last week. 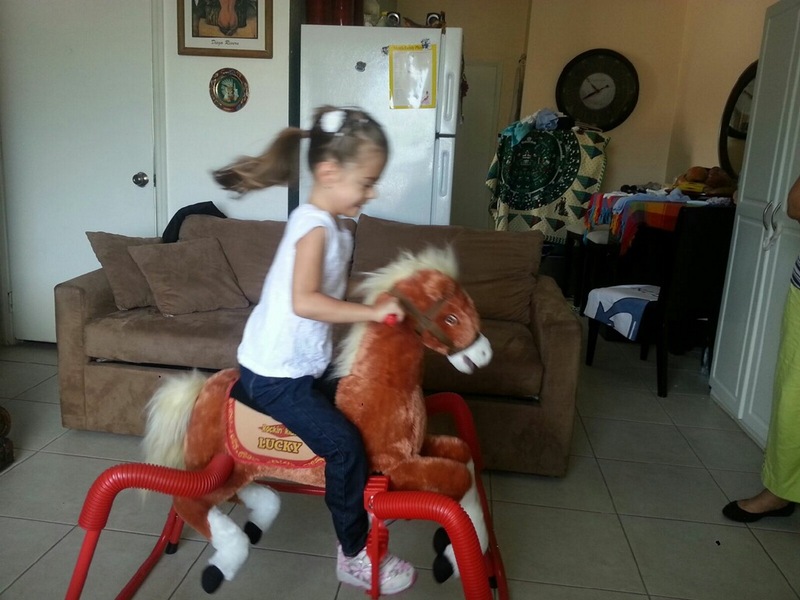 When he finally got his hands on it, he couldn’t wait to assemble it and surprise Matilda with it. 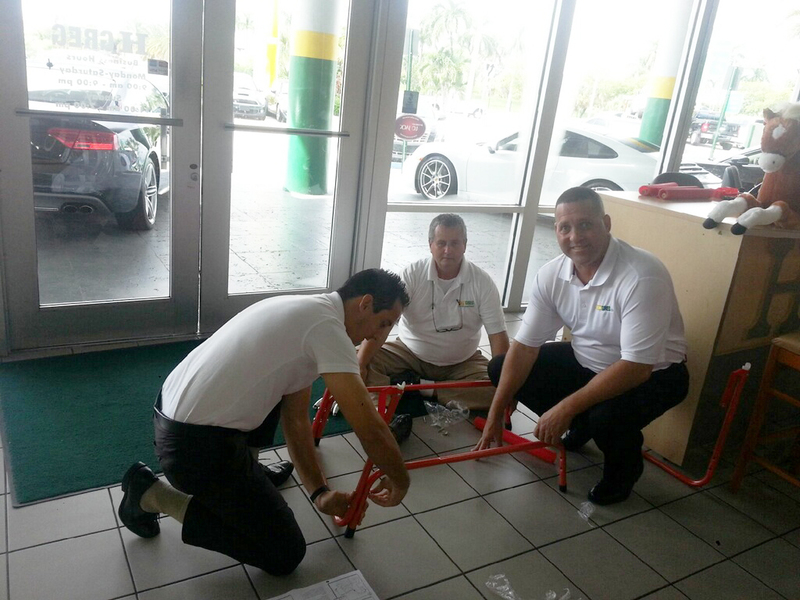 Upon seeing that Eloy needed help assembling the rocker, the other salesmen didn’t hesitate to chip in and lend him a hand. 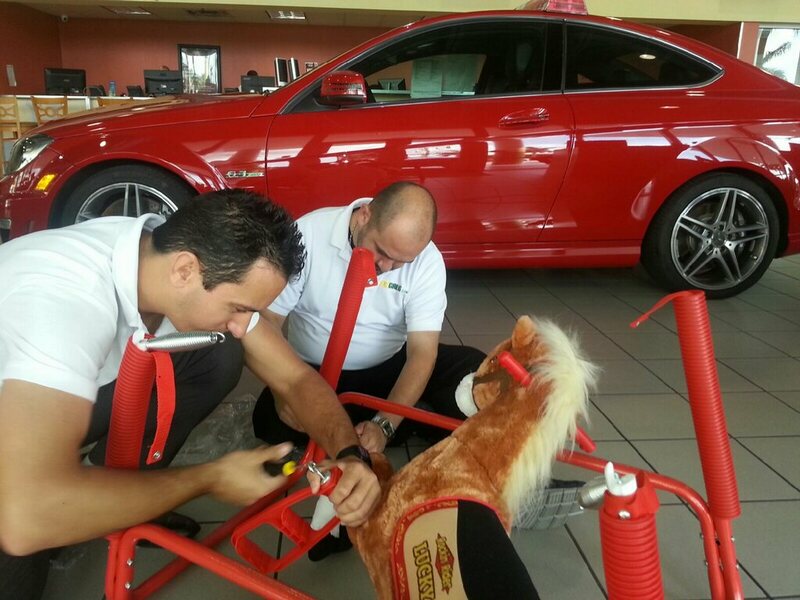 But that’s no surprise because the HGreg.com team are all one big family.